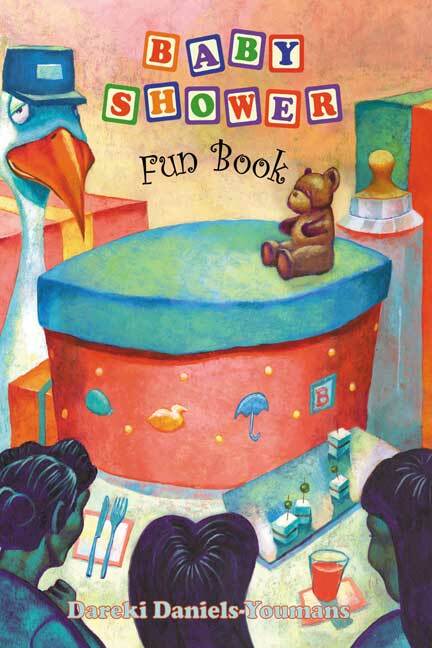 The Baby Shower Fun Book is a must have for any baby shower you are going to attend or throw. I would say it's by far the best gift I am giving a special new mom-to-be in my life later this month! I have baby books for both of my kids, and that's where I put my information from my shower, but this book would have been even better with all of the features it has. Since I can't really show you what each awesome page looks like I will share with you some of the details from them. • There is a page of directions just in case you aren't sure how to use the book. • Then there are several pages for the attendee's to fill out (relationship to mom/baby, gift given with picture spot, contact information, and a section titled "A Wise Guess" for putting your baby tips). • Pages for Motherly Advice, various pictures, and blank pages for other keepsakes. Create a keepsake for the mom-to-be and baby with this baby shower book that is different from all other baby shower books you’ve seen! This fifty page guest book is used by your guests who attend your shower by filling out answers to questions like “Who will baby look like?” “Which diapers do you prefer?” and “How long will mom-to-be be in labor?” Your guests can also guesstimate the height, weight, length, hair color, eye color, and even if your baby’s hair will be curly or straight! This book is guaranteed to be the spotlight of attention and will even stir up conversations among your guests. To top it all off, a special place for each guest’s photo is on each page so that their picture will be an everlasting visual of the excitement from the shower. 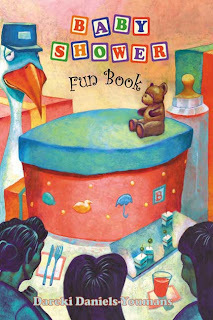 A native of Florida, Dareki Daniels-Youmans got the idea of this baby shower book from attending several baby showers and then used her familiarity with those showers and created this book. She began making her books for every shower she attended whether she was invited or not. Then she started planning and hosting baby showers and has done so for the last seven years. Because of this book, she has earned a reputation in her hometown as the “Baby Shower Queen.” This is her first published book. Disclosure: I received a complimentary copy of Baby Shower Fun Book as a member of the Dorrance Publishing Book Review Team. Visit dorrancebookstore.com to learn how you can become a member of the Book Review Team. i like to get this book for A friend! I would have loved to own a keepsake like this for my baby shower. Would make a great gift!